MKB's SUV can go from 0-60mph in 4.4 seconds and hit a top speed of 170mph. All you need is time and money. The Mercedes-Benz GL 500 is set for a facelift on its 2012 model. The redesign will also include a new V12 powerplant, the German automaker announced some time ago. German tuners MKB have gotten a bit anxious waiting for the company to fit their SUV with the new motor so they have created their own aftermarket program, complete with a new V12 engine. The conversion process takes about 6 months and will cost a stunning $294,000. Almost $300K for an aftermarket program that doesn&apos;t include the vehicle itself seems like a crazy proposition, although the results could be worth it if you&apos;re desperate for a super-powerful SUV. The GL 500 with MKB&apos;s V12 engine can put out a whopping 670hp and 885lb-ft of torque. To control the powerful vehicle, MKB gave the car six-piston brake calipers with ceramic rotors. Performance for the souped-up SUV is measured at a 4.4 second 0-60mph sprint and a top speed of an impressive 170mph. 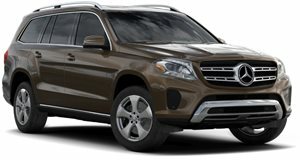 The MKB Mercedes-Benz GL 500 is a powerful and impressive aftermarket program. If you truly desire a performance-based SUV made by the German brand then this program was meant for you. Use caution though, as a possible AMG version could also become available.